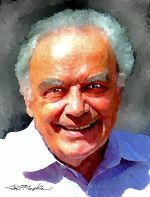 Werner Arber walked in the Swiss Alps with many of his friends. He discussed with them science and other matters in life. He used his Nobel Prize money to invite his friends for this walk.